We all have attractions we love and maybe some attractions we easily pass on. 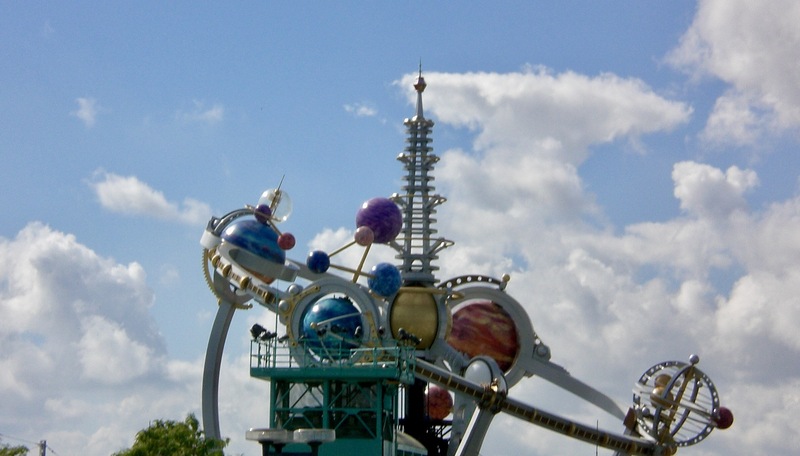 In this series, I’m going to highlight my favorite attractions from each park. To start us off is the amazing Magic Kingdom! I’ll break it down by each area within the park and I swear I’ll try not to list every single ride there is. For the longest time, I was convinced I was going to become a pirate someday. The Pirates of the Caribbean ride was one I always loved and the release of the movies just increased my love of all things piratey. One of the great parts of this ride is the cool, dark queue line. Most experiences we’ve had are more walking through the giant line than actually standing still, which is great! The ride is a relaxing float through many familiar scenes we all know and love. It’s important to note, though, that the ride preceded the movies. The scene in Curse of the Black Pearl with the prisoners trying to get the dog’s attention to get the keys? Yup, ride first. That said, they did add details and Animatronic characters to the ride who were first found in the movies (like Captain Barbosa and Captain Jack Sparrow). My favorite 3D show in all of Disney World is Mickey’s Philharmagic. It’s the most recent addition to the parks but it’s just so very Disney. It has the core Mickey and friends group and it seriously just makes me so happy to watch every time. My only complaint is it always feels too short! It’s so good, I just want to keep watching. The newest coaster addition to Magic Kingdom, which is part of the new Fantasyland, is the Seven Dwarfs Mine Train. I. Love. This. Ride. The theming is totally spot on and the swaying cars are so cool! The actual roller coaster car you sit in swings as it goes through the ride, independent of the base that’s actually on the track, which makes it so unique – it’s truly unlike any ride I’ve ever been on. Both of my Frontierland faves are coasters and they’re 2 of the 3 mountains in Magic Kingdom: Big Thunder Mountain Railroad and Splash Mountain. I have so many memories of riding Thunder Mountain during the fireworks or late at night in the parks or ducking behind the seat on the drop of Splash Mountain so I won’t get wet. Disney is great at giving us coasters that adults love but are still totally kid friendly and this is yet another example of that. The theming and stories are ones that can be appreciated by all ages and they’re both exciting enough for the thrill-seeker but mellow enough not to scare the kids. And they’re pretty much right next to each other, so it’s easy to check out both. These two are super popular, though, so FastPasses are a must. Haunted Mansion is hands-down one of my very favorite Disney attractions. It’s not a coaster but it’s just so much fun. I think it’s the perfect showcase for Disney’s outrageous attention to detail. The intricacies of the ride are amazing, it’s spooky without being scary (when I was a kid, I was afraid of everything and I was never scared of this ride), and there are some Easter eggs, which I absolutely love to find! This is also one of the few rides where I don’t mind terribly if we have to wait in line outside because there’s a lot to look at. Take some time to read the headstones as you walk by – you’ll definitely get a good chuckle. Main Street is mostly about the shops (and corn dog nuggets from Casey’s Corner), but there is one attraction we’ve gotta hit every trip and that’s the Walt Disney World Railroad. We tend to ride it all the way around the entire park and then continue on to the stop we actually want. It’s a great chance to relax and see more of the park from the comfort of a seat. Plus, you can’t beat the breeze when you’re in that Florida heat! I love a good competition and Buzz Lightyear’s Space Ranger Spin is so much fun! There are tons of targets and great opportunities to get competitive with your travel companion and it’s so bright and colorful. One of Disney’s many rides that is perfect for both young and old. As I mentioned already, I am a roller coaster fanatic. Of the 3 mountains in Magic Kingdom, Space Mountain is my favorite. It’s ultra fast-paced, in the dark, and I love all the dips and turns. Lots of fun stomach flip-flopping and excitement! Runner up is definitely the Astro Orbiter. It’s a pretty mellow ride but it’s up high so you get to see a great view of the park. It falls into the same category for me as the People Mover in that I think it’s often overlooked by folks so the wait isn’t usually very long. What are some of your favorite Magic Kingdom attractions?